Over 100 natural gas-run buses were waiting in queues at the refueling station at Jinjiling Rd and Phoenix Rd for up to 4 hours on Monday. The shortage of natural gas refueling stations in Sanya has negatively affected city dwellers as the situation causes massive queues to refuel. On Nov.11, over 100 natural gas-run buses were waiting in queues at the refueling station at Jinjiling Rd and Phoenix Rd for up to 4 hours. The situation has caused a lack public transportation at city bus routes, where passengers have had to wait very long periods. 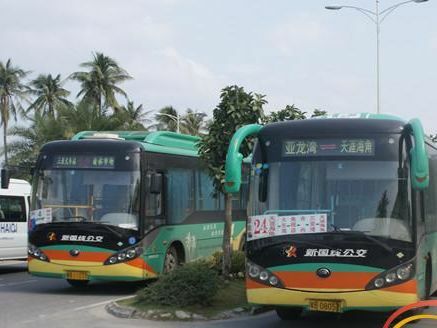 Sanya has over 560 city buses, of which 90% are natural gas buses. With the growing demand, only 4 gas refueling stations remain unable to efficiently provide gas for all the vehicles. In light of the problems caused by the shortage of natural gas refueling stations, the relevant departments in the local government are holding discussions to find a solution to the issue.